Last year saw an all time low for local production, as the SABC crisis ensured that local commissions ground to a practical standstill. For viewers this has meant endless repeats on TV. For the industry it has meant job losses and whole production houses going out of business. 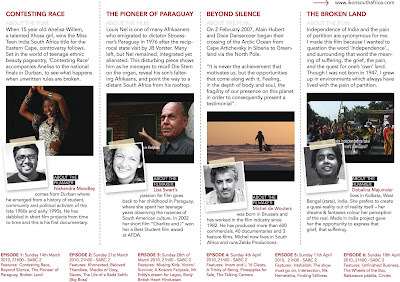 In the midst of this, a new commission was shot in Johannesburg and airs on SABC2 from Thursday 11th March at 21.30. Finally we can look forward to something new and local on our screens. The Mating Game is a 13 part drama series that takes an intelligent, but humorous look at the tricky terrain of modern romance and familial relationships. Written from a feminist perspective by writer and producer Anita Khanna and set in Johannesburg, the series features three women,Grace (Maggie Benedict, Isidingo, Hard Copy 3), Roxanne (Renate Stuurman, The Lab) and Sara (Elma Postma, 7 de Laan) who are looking for love in a time and place where nobody’s quite sure whether the family model is monogamous or polygamous. Two of the three protagonists, all attractive, bright and independent women, have to make a choice between remaining single or trying to make things work with men who fail to deliver and are unwilling to get up to speed with feminism. The third is a lesbian, looking for a man to father her child. The series is highly contemporary and asks brave questions about partnerships in a world where men and women look to each other for emotional fulfilment yet no longer seem to be speaking the same language. Using humour, multifaceted characters and animal mating habits as motifs to make comment on human behaviours, The Mating Game offers both men and women the chance to recognize themselves on the screen and to laugh out loud at the debacle of modern relationships. Also appearing in The Mating Game is Khabonina Qubeka (Rhythm City, The Lab 3, Muvango), Nathaniel Ramabulana (Justice for All, Jerusalema Entjha), Justin Strydom (Binnelanders, Snitch), Nick Boraine (Jozi, Hillside, Wild at Heart), and Khulu Skenjana (Jerusalema Entjha, Generations). We are very proud to announce that delivery of the Ikon short documentary series to SABC has begun and we have a line up of 30 films to showcase from South Africa, Africa and the World. Please be advised that the broadcast of Ikon South Africa begins on Sunday 14 March at 21:00 on SABC 2. We are going to be profiling the rest of the films after episode 1 next week. Please pass on to your friends, journalists, media circles and film appreciation communities. 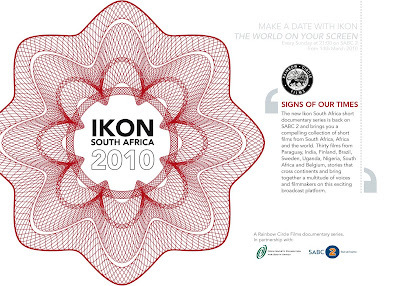 For those of you on Facebook - please become fans of Ikon South Africa and spread the word via your networks. 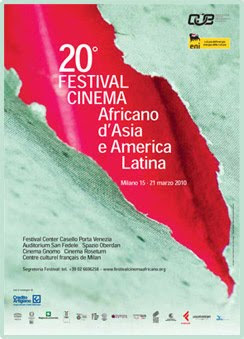 A selection of feature-length documentaries by directors from Africa, Asia and Latin America. traditional and subjective language far removed from the usual patterns of TV formats.